Okey Wali (SAN), a lawyer massively supported with funds by the Goodluck Jonathan administration, today emerged as the president-elect of the Nigerian Bar Association in an election marred by the Jonathan administration’s meddling, widespread bribery of delegates, and other irregularities. Mr. Wali, a former Commissioner for Justice in Rivers State and a close aide to Governor Seriake Dickson of Bayelsa, scored 688 votes. His rival, Emeka Ngige (SAN), was credited with 449 votes, even though he entered the election as the favorite. Our reporter had earlier reported that the Jonathan administration had budgeted and spent more than N1 billion to shore up Mr. Wali. 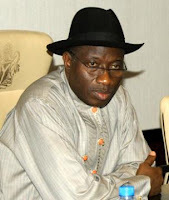 Our sources alleged that the Jonathan regime took over the entire Sheraton Hotel in Abuja and doled out free rooms, cash and food to delegates who consented to support Mr. Wali. In addition, several delegates accused the outgoing NBA leadership, especially Joseph Daudu, the exiting president, of manipulating the voters register. “It was only yesterday at noon that Daudu released the list of eligible voters,” said one of the lawyers. Several sources asserted that many names were omitted from the list of delegates. “There’s a branch from Onitsha with 20 delegates, but only twelve names were accredited,” said one source. “By contrast, a branch from Port Harcourt with 27 listed delegates had 63 delegates voting. ”Supporters of Mr. Ngige also stated that fifteen new branches were registered but were prevented from voting at the last minute. Several sources within the Presidency and in the judiciary had disclosed that the Jonathan administration was determined to frustrate an independent candidate to lead the NBA. Our sources revealed that the Presidency handed out N100,000 to some delegate and 250,000 to several branches of the NBA. The NBA has 88 branches, with a minimum of 10 delegates from each branch. “It is a tragedy that the Presidency would spend outrageous amounts of public funds in order to foist an unpopular candidate who is the government’s lackey as NBA leader,” said one of the disaffected lawyers. Our sources disclosed that the team put together by the Presidency to “campaign” for Mr. Wali was led by Attorney General of the Federation Adoke Bello. Other members of the team included Michael Aondoaaka, the disgraced former Attorney General under the administration of the late Umaru Yar’Adua, and Joseph Daudu, the outgoing NBA president. In addition, such lawyers as Damian Dodo, Alex Izinyon, Wale Olanipekun and Dele Adesina reportedly worked with the government’s team to enthrone Mr. Jonathan’s choice. A source in the Ministry of Justice disclosed to our Reporters that, as a token of gratitude for the role Aondoakaa played in installing Mr. Wali, the Jonathan administration has promised to restore Mr. Aondoakaa’s SAN status before the end of this year. Mr. Aondoakaa was stripped of the SAN position as punishment for his shameful professional conduct during the Yar’Adua administration. “I knew that the government had mobilized heavily for Chief Wali, but I also expected that members of a profession as noble as the law would be able to rise above the influence of cheap money,” said another lawyer, who identified himself as a member of a progressive wing that wanted an independent candidate to emerge triumphant. The NBA’s national conference held in Abuja. Mr. Wali will be sworn in next month to take over from Mr. Daudu.